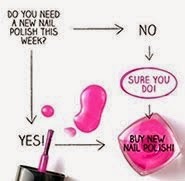 Hello my fellow polish and nail art addicts! I have recently taken up Disc golf and by taken up I mean walking around the course laughing at how bad I am! I have a lot to learn about the finer points of disc golf but the wonderful sunshine and fresh air I am getting while doing so is soooo refreshing after this cold winter, plus I'm having a blast! It has also inspired the very bright mani below! 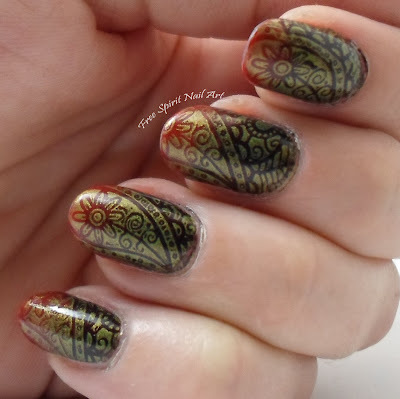 To create this mani I did a base coat, then did a coat of Orly Have Courage, which is a very, very bright orange. I then used a make up sponge to dab on Zoya Purity, a very bright white, to make the yellow's pop instead of blending in with orange. 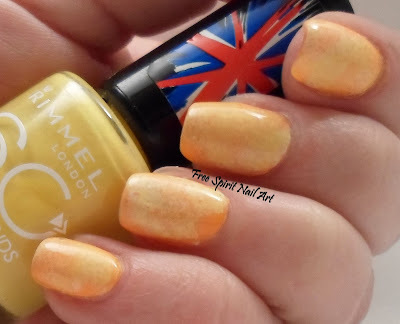 I then sponged on L'Oreal Tweet Me and Rimmel Sunny Days and sealed it all with a top coat of Seche Vite. Hooray for bright mani's, fresh air and disc golf! So far this spring is off to a great start and lots of good things are planned for 2016! Thanks for looking and check back soon for more fun designs!